**Note: This version is a high definition (HD) 1080p resolution. Great for watching on larger screens. For a more mobile friendly version, we recommend the 720p. To download, be sure you have a good high speed internet connection. Kindness is thought of by many people as a weak, wimpy sort of a thing that everybody should use sometime and most of us should use a little more than we do. 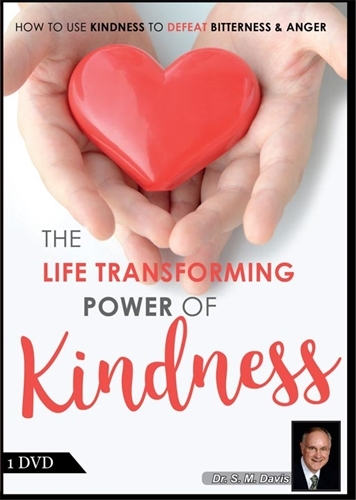 On the contrary, kindness is a powerful force that emanates from God Himself that will transform your life and the lives of those around you if you will use it properly and consistently. Proverbs 31 referred to the “Law of kindness.” A law sets parameters. The “Law of kindness” says that you and I should not leave the parameters of kindness in the words we say or the way we say them. Kindness not only makes you a desirable person to be around, but it will also make a positive impact on other people’s lives. God, Who is always kind, uses His kindness to win our hearts. And few things are as effective to reach the hearts of children as parents consistently being kind. Anger is powerful, but kindness is more powerful! In fact, kindness can be used as a spiritual weapon to defeat bitterness, anger, envy and vengeance. 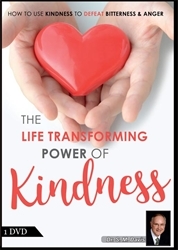 Finally, some of the most powerful stories in the Bible and in human life are stories where people used the power of kindness to repay kindnesses shown to them. To download, be sure you have a good high speed internet connection.